Ram Viswanathan: Run in Darjeeling Anyone? 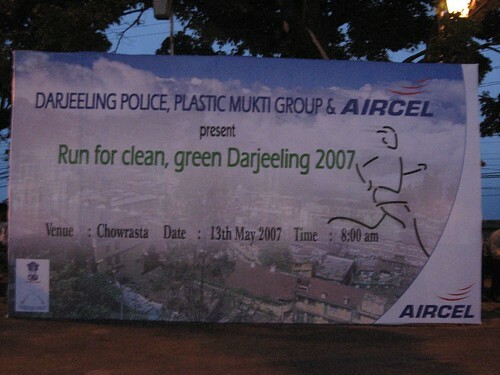 Want to run in Darjeeling? Come on over.. local police is organizing a run on May 13, 07. Salvation from Plastic? We then have to make every container or utensil with banana leaves or paper without plastic. I wonder whether the Plastic Mukti group has an alternative that is green or they gonna suggest recycling. It is good to make a first step any way in some direction. Way to go ! Clap ! Clap !